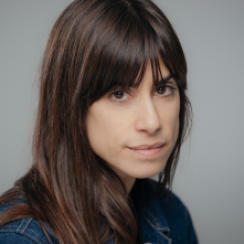 Jill MAGID (1973, USA) is a conceptual artist and writer. Magid’s work questions the existing power structures in society. She has had solo exhibitions in the Tate Modern, the Whitney Museum of American Art and the Stedelijk Museum, among others. The Dutch intelligence service (AIVD) commissioned Magid to make an artwork that would give the organisation a more human face. The project resulted in various works including her non-fiction novel Becoming Tarden. Forty percent of the manuscript was censored by the AIVD. The Proposal (2018) is her first film and is also the conclusion of the multimedia project The Barragán Archives (2013), where the private archive of the Mexican architect Luis Barragán (1902-1988) is the central theme.